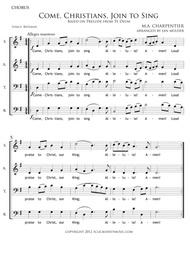 "Come, Christians, Join To Sing (Te Deum)"
Composed by M.A. Charpentier. Arranged by Jan Mulder. Sacred. With Text language: English. 5 pages. Published by John Miller Publishing (J2.6622). 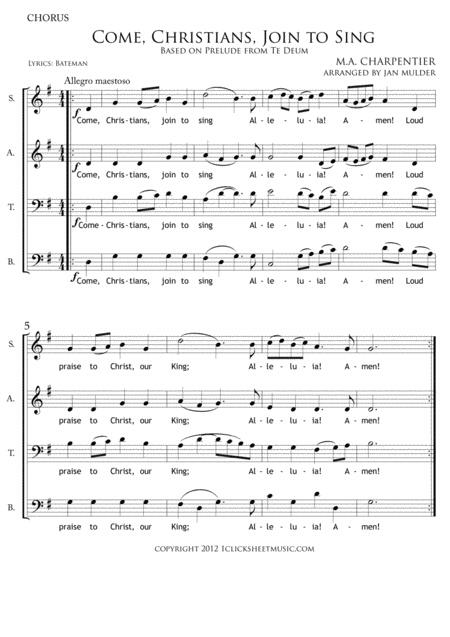 Preview: "Come, Christians, Join To Sing (Te Deum)"